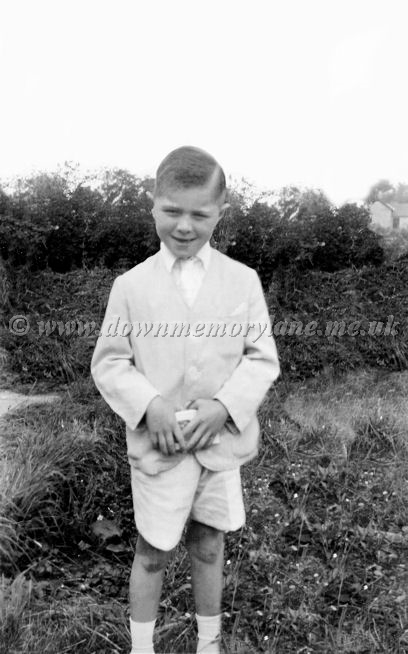 Standing proudly but shyly in all white Confirmation suit is Tom Flynn at Moneymore. The white suit had been sent to him especially for this occasion by an aunt in America. So Tom was the only lad there in an all white suit and short trousers!